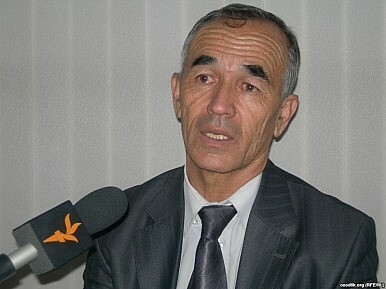 The committee called on Kyrgyzstan to release Azimjon Askarov immediately. The UN Human Rights Committee has finally weighed in on the case of Azimjan Askarov. The findings come nearly six years after Askarov’s conviction and detention in Kyrgyzstan on charges that he instigated a mob which killed a police officer during the violence in 2010 and four years after his submission of a complaint to the body claiming that the state had violated his human rights. The full findings, adopted on March 31 and published on April 21, chronicle a highly bureaucratic and procedural back and forth between Askarov, represented by counsel from the Open Society Justice Initiative, and the Kyrgyz state. The initial communication of the complaint was in November 2012, after Askarov had pursued appeals through the Kyrgyz justice system to no avail. Efforts by Askarov and human rights advocates to get the Kyrgyz government to investigate his claims of torture were denied on the grounds that while in custody he’d made statements that he had no complaints–statements made, he says, under threat of further torture. While the committee did dismiss some of Askarov’s complaints–noting that he’d failed to “provide sufficient information and factual support” to substantiate claims he was persecuted because of his human rights work and his ethnicity–they did find that Kyrgyzstan has violated several articles of the international covenant on civil and political rights, specifically Article 7 and parts of Articles 9, 10, and 14 (which cover torture, arbitrary arrest, the right to dignity while detained, and the ability to prepare a defense and communicate with counsel). Askarov, or rather the subject of his detention, inadvertently caused a diplomatic incident between the United States and Kyrgyzstan last year when the Bureau of Democracy, Human Rights, and Labor honored him with the annual Human Rights Defender award. The choice surprised many regional watchers who pointed out that there are dozens of jailed human rights defenders across the region in states with worse human rights records than Kyrgyzstan. Bishkek reacted badly to the award and immediately scrapped a 1993 cooperation treaty with the United States. It’s unlikely Bishkek will be pleased by the UN Human Rights Committee’s findings on the Askarov case, but it presents an opportunity to make progress in tackling a problem all sides seem to agree exists. A Bishkek court upheld the human rights defender's life sentence.